Water lilies have been around since the early Cretaceous period, over 125 million years ago. 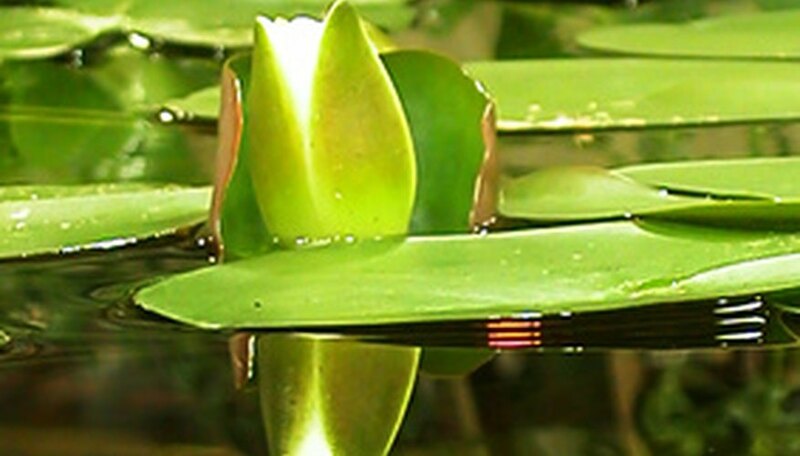 They are aquatic plants known for their big round leaves and bright flowers. Water lilies are grown in shallow ponds, lakes and slow-moving streams. They are propagated by rhizomes and spread by cutting or breaking off the rhizome. They do not have many pests or disease issues, but there are some fungal problems. Hardy water lilies have thick flat leaves and are semi-hardy in cold zones. They can survive in most of Europe and even in northern Canada. Tropical water lilies are tender with delicate leaves that bruise if handled roughly. They will die in cold weather. In cooler climates they can only be overwintered by covering the water. This is a fungal disease recognized by small black spots on the leaves. You will notice a very foul smell in the area, which indicates the fungus. The rhizomes need to be dug up and inspected. If the root is not white, but is black or dark colored, the plant has black rot. No fungicide application will help. It is best to dig up the plant and dispose of it. This is a very serious fungal problem that affects the tropicals more than the hardy lilies. Leaf spot begins with small brown or reddish brown spots on the leaves. Then the leaves begin to curl. It is very contagious and the affected leaves need to be removed immediately. Captan is a fairly safe and effective fungicide for use around aquatics. It is a foliar spray that should be used on the unaffected leaves. Fungicides are not as a rule as toxic as pesticides and herbicides. However, high dosage levels can cause some problems. Always use gloves and eye protection. With a powdered fungicide application, use a mask as well. Some of the fungicides used in ponds are the non-systemic Clorothalohil and Thiram. Both are nontoxic to plants and not mortal to fish (although your fish will behave oddly), but introduce some peril to invertebrates and other animals. Iprodione is a systemic fungicide that will kill your fish and is hazardous to other life. Copper fungicides are toxic in high levels, so only very diluted doses should be used. You can be sure that the product you are applying to your pond is safe if you make your own fungicide. Here's one recipe: 4 teaspoons of baking soda, 1 tablespoon of horticultural oil and 1 gallon of water. Mix together well and put into a sprayer. Spray lightly. Organic fungicides are safe and nontoxic applications for ponds and aquatics. Lime sulfur is a very effective and safe fungicide.